The absence of Justice Ibrahim Buba of the Federal High Court, Lagos yesterday stalled ruling on the application filed by the Nigerian Drug Law Enforcement Agency (NDLEA), praying the judge to disqualify himself from its case against the embattled Ogun senator, Buruji Kashamu. The judge will now rule on whether to disqualify himself or not on November 10. Due to Justice Buba’s absence yesterday, his registrars fixed the new date for ruling. 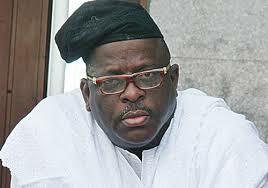 Kashamu had filed the substantive application praying the court to restrain the Federal Government from seizing his property worth N20 billion for alleged drug trafficking allegations. He sought an order of perpetual injunction restraining NDLEA and the Attorney General of the Federation (AGF) from taking possession of his property. Justice Buba had earlier restrained the NDLEA from arresting or extraditing Kashamu to the United States of America, where he is allegedly wanted for prosecution. As a result of the earlier decision by Buba, the NDLEA now asked the judge to hands off the case. It said since Justice Buba, on June 23, reaffirmed a May 27 order by brother judge, Okon Abang of the same court, stopping Kashamu’s arrest, he might not be fair in the case. NDLEA asked the judge to withdraw from the case on the basis that he might not reach a different conclusion in the fresh case having ruled in Kashamu’s favour before. According to NDLEA, the case file should be returned to the Chief Judge, Justice Ibrahim Auta, for reassignment to another judge. Counsel to NDLEA, Mr. J. N. Sunday, who had asked the court to vacate the restraining order, claimed the injunction amounted to preventing federal agencies from discharging their constitutional duties. Meanwhile, the AGF, represented by Mr. Oyin Koleosho filed a preliminary objection to Kashamu’s case. Koleosho said the court lacked jurisdiction to entertain the suit, which it described as a “tortuous act,” that does not fall within Chapter IV of the 1999 Constitution. In filing the action, Kashamu said he learnt of moves by NDLEA and AGF to seize his property, including a 24-flat housing estate at Egbe and several hectares of land on Lekki Peninsula, Lagos. According to him, he acquired the property, which he said is worth N20 billion by dint of hard work and through his legitimate business. He said contrary to NDLEA’s alleged claim, the properties were not proceeds of drug trafficking. Kashamu’s counsel, Mr. Ajibola Oluyede said his client’s rights to own property as guaranteed by sections 43 and 44 of the 1999 Constitution would be breached if the respondents were not perpetually restrained from seizing those properties.